I’ll update this post as soon as the complete rankings are online. Not all of the scores have been posted yet, but if there were additional records broken I will update this post. 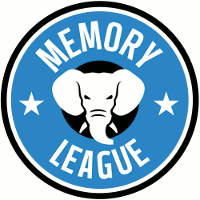 Dates and location for the 2014 World Memory Championships have already been announced. If you have news or want to discuss the competition, visit the forum thread or leave a comment below. It has been a while since I posted in the blog, because I’m working on launching some new features. That is also why I wasn’t able to attend the 2013 World Memory Championships. More news soon! Johannes Mallow Video: "Training for London 2012"
Train your brain with real-time memory competition software. Just click the "Sign up" button below to create an account, and we'll send you a free ebook with tips on how to get started with memory techniques.